You SAVE 25% off the regular price! Currency Converter: U.S. dollar - approx. 45.65Argentine peso - approx. 643Australian dollar - approx. 58.94Bahamian dollar - approx. 45.65Brazilian real - approx. 164.28CFA franc - approx. 26,447CFP franc - approx. 4,811Chilean peso - approx. 30,327Chinese renminbi - approx. 295.61Colombian peso - approx. 137,002Croatian kuna - approx. 302.80Czech Republic koruna - approx. 1,090Danish krone - approx. 300.00East Caribbean dollar - approx. 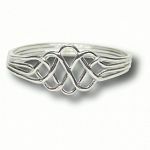 122.80European Euro - approx. 40.32Fiji dollar - approx. 94.22Ghanaian cedi - approx. 174.83Guatemalan quetzal - approx. 359.34Honduran lempira - approx. 1,028Hong Kong dollar - approx. 354.04Hungarian forint - approx. 12,551Icelandic krona - approx. 5,652Indian rupee - approx. 3,033Indonesian rupiah - approx. 603,093Israeli new shekel - approx. 172.41Jamaican dollar - approx. 5,571Japanese yen - approx. 4,970Malaysian ringgit - approx. 179.28Mexican peso - approx. 797Moroccan dirham - approx. 441.51Myanmar kyat - approx. 53,670Neth. Antilles guilder - approx. 81.26New Zealand dollar - approx. 65.73Norwegian krone - approx. 375.00Pakistan rupee - approx. 4,783Panamanian balboa - approx. 45.65Peruvian new sol - approx. 149.43Philippine peso - approx. 2,108Polish zloty - approx. 173.80Romanian new leu - approx. 180.50Russian ruble - approx. 3,025Serbian dinar - approx. 4,962Singapore dollar - approx. 61.75South African rand - approx. 662South Korean won - approx. 52,279Sri Lanka rupee - approx. 6,630Swedish krona - approx. 370.72Swiss franc - approx. 43.99Taiwanese new dollar - approx. 1,475Thai baht - approx. 1,598Trinidad and Tobago dollar - approx. 301.23Tunisian dinar - approx. 91.78Turkish lira - approx. 129.80U.A.E. dirham - approx. 167.67U.K. pound sterling - approx. 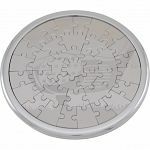 31.98Venezuelan bolivar fuerte - approx. 456.32Vietnamese dong - approx. 1,026,316 * Exchange rates shown above are estimates only, and may vary slightly from the rates charged by PayPal or your Credit Card Company. 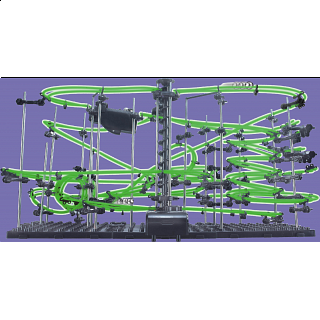 Construct and operate your mini marble roller coaster. Note: This item has a damaged box. Everything in the box is mint condition. Just the box is damaged. 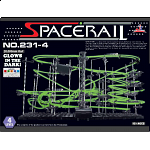 SpaceRail is a line of do-it-yourself marble roller coasters. Assemble the pieces by cutting track to the correct size, forming cubes, loops, runs, and drops, and attaching everything to metal rods in the plastic base. Once assembled, enjoy hours & hours of rolling metal ball entertainment. 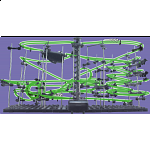 The auger that lifts your ball back to the top will ensure that it is in constant motion, flying down the track to its next turn or looping through the track again and again. This track also glows in the dark! Level 4 has more loops, but is still easy to assemble. This set is suitable for intermediate users. An English instruction manual is included. Batteries Not included. Requires one C battery. This video is not the glow in the dark model but it is the same level. People who purchased Space Rail Level 4 - Glow in the Dark - Damaged Box also purchased the following puzzles.